The ANZSBT 2013 publication Extended Life Plasma: A Framework for Preparation, Storage and Use1outlines the validation requirements for laboratories wanting to implement the use of ELP. The first edition of the publication formed the basis for implementing the protocol at the RCH. “Validation testing wasn’t as onerous as we thought it would be. Once we engaged our Coagulation team and Bacteriology department in the project, all we needed to do was decide on a number of units that we wanted to test so that we could compare our data (factor levels and sterility testing) to that published by the Blood Service. We decided on testing at least 30 units as we didn’t want to waste too many bags of plasma but we wanted to sample a number plasma donations that was comparable to the number the Blood service tested. When the Massive Transfusion Procedure (MTP) was first implemented at the RCH, the laboratory commenced a protocol whereby two units of group AB FFP were thawed and stored in the Blood Bank laboratory the fridge for 5 days in case required for rapid release in a trauma situation. If not used within the 5 days, the plasma was sent to the Bacteriology laboratory for sterility testing and an aliquot was frozen for coagulation factor testing. The ELP project received great support from the Bacteriology staff at the RCH, who happily performed 7 day aerobic and anaerobic cultures on the unused 5 day ELP during the validation period. The sterility data revealed no bacterial growth in all samples after 7 days. The process of sterility testing is ongoing; all unused ELP units continue to be cultured for bacterial growth to allow the laboratory to remain comfortable with their process. There have been no positive test results to date and in excess of 200 ELP bags have been tested. In addition to sterility testing, the project was supported by the Coagulation staff at the RCH who tested the coagulation factor levels in the ELP bags. After setting up the blood cultures, the bacteriology laboratory returned an aliquot from each of the 30 bags to the coagulation department for freezing. The coagulation laboratory performed batch testing on the frozen aliquots for factors V, VII and VIII. A publication produced by Mary and her colleagues, and showcased at HAA 2013, supports the findings of the Blood Service where most factor levels are maintained at haemostatic levels for up to five days post thawing. At the conclusion of the ELP project, project details including the aims, methodology, risk assessment of using ELP, together with validation data, were presented to the RCH Hospital Transfusion Committee for consideration. The RCH Hospital Transfusion Committee endorsed the use of ELP as an interchangeable product with FFP at the RCH in December 2012. An inventory of 2 AB ELP has been maintained in the laboratory since that time. Following implementation, the laboratory set up a procedure for ELP. All laboratory staff undergo training that covers what ELP is, and how to prepare, issue or discard the product. Training records are completed and signed off by the staff member and trainer. 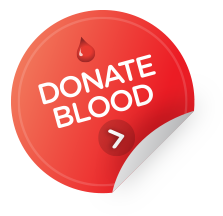 Additionally, the transfusion nurse consultants assist in disseminating information throughout the rest of the hospital about all changes in the blood bank – including the introduction of ELP. Information about ELP is also readily available on the intranet site.